There are many in Western North Carolina on the front lines of racial equity and social justice. Barton lives and makes art from the front lines. He’s a poet and visual artist, creator of a peace and art garden on Asheville’s Burton Street and the founder of Hood Huggers, giving bus tours of Asheville’s historically troubled neighborhoods. Barton is now focused on creating and publishing a workbook to guide people coming out of prison and, ideally, keep them from returning. Barton created a lobby installation on view now at the Magnetic Theatre in the River Arts District, and you can also hear him 7pm April 12 as part of a storytelling evening through Asheville Wordfest. Barton was born in Asheville but raised in Washington, D.C., where his stepfather was active in community organizing. His stepfather would often take a reluctant Barton along for the ride. As a teenager, Barton felt the inertia of drug culture pulling in other young people from his neighborhood, so to escape, after high school, he joined the U.S. Navy. He went overseas in a non-combat role during the Gulf War, and that’s when he began expressing himself through by writing poetry and creating sculpture from driftwood and a range of discarded material. Barton’s sculptures are from found objects Barton has fused into social commentaries. One, about gentrification, features a funnel made of wood with a metal crank at the base and homes springing up from the top. The exhibition at the YMI was the first with pricetags next to his work. Until then, Barton never saw his work as presentable in galleries. After returning to Asheville, in 2001, to be near his mother, Barton made it his early mission to engage young people through art. He spearheaded the Burton Street Community Peace Gardens, a patchwork of public art, traditional gardens and a meeting space in West Asheville. He also started Hoodhuggers, highlighting Asheville’s historically black arts, environments and businesses. Barton found it surprising his clientele was and remains largely white. 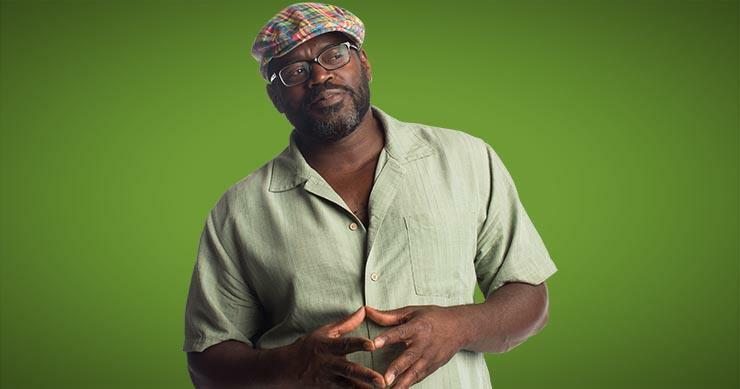 Burton later collaborated with Daniel Leroy to launch Green Opportunities, a job training program for people coming out of incarceration and rehabilitation programs, along with other people facing the greatest challenges finding stable work. Leroy and Barton stepped down as co-directors in 2014. “Dewayne has this authenticity as someone who understands the community on a deep level,” said Leroy, who in May becomes the executive director of the United Way of Asheville and Buncombe County. Leroy said, though, some of Barton’s ideas met resistance from people who either didn’t understand them or weren’t ready to say yes. Even when she isn’t leading one of her four high-intensity training classes every week, Jessica Tomasin is always in motion. She’s managed Echo Mountain recording studios since it opened 13 years ago. She co-founded the Asheville Music Professionals networking group, shepherded handfuls of events through her own production company, raised money for charities and given a TEDx talk. For this week’s Amadeus Festival through the Asheville Symphony, she has curated a discussion and concert devoted to women in music. And right now, she’s in the midst of figuring out how to market her hard-to-explain festival, called Connect Beyond. Happening April 5-7 at various locales around Asheville, the festival explores the intersections of music, film and literature and their role in social change.